Saracens smash Quniton in the latest in a great run of wins. 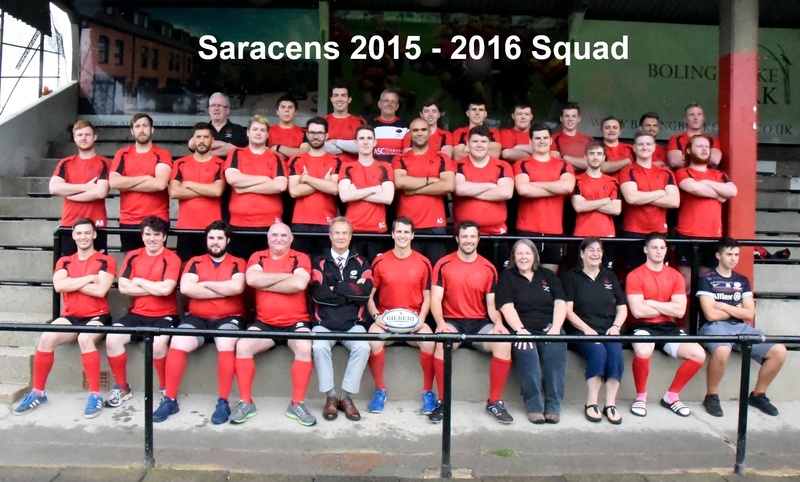 It was a great run of wins for the Saracens leading up to Christmas, with comprehensive displays and victories over Hillingdon Abbots and Hendon. The boys were keen to ensure that the vast amounts of turkey and occasional light ale would not hinder their momentum; and indeed it did not. The conditions were beautiful; amazingly dry and not a cloud in the sky as Saracens took to the pitch, surrounded by the debris of the once prominent scoreboard. Throughout the entire game, Saracens were in the ascendency. This is not to take away from a Quniton side (who earlier in the season had come away victors) who we pushing hard and creating some opportunities. Tries came in steadily throughout the game. Rob 'Mr Bosh' Eston ran in two through his outstanding ability to run hard lines and smash over people, with Felix 'Lion' Brasseur also using his pace to dot down twice. Jack 'Same Song' Goldberg, Harry 'Could Do With Being Bigger' Kelly and Michael 'No Shoulders Tackle' Cawthorn all scored crossed the whitewash through some great, free flowing rugby. To the annoyance of Jack Goldberg, Captain Dom 'Needs To Lose His Gut' Smart crossed for his hat-trick. Mr Goldberg added a fantastic nine conversions in very difficult conditions. The free flowing rugby was enabled by a fantastic platform provided by the forwards, with Newton 'Taggart' Mills, along with others, having a fantastic game. The boys travel to London Welsh on Saturday, determined to keep up this excellent run and climb the table even further.